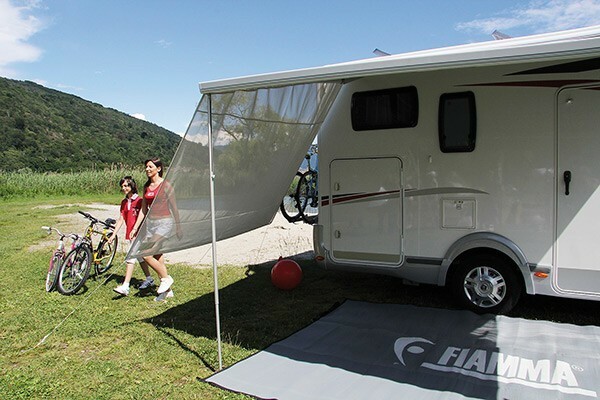 The Fiamma Sun View Side is a convenient side panel for Fiamma F45 awnings. Made with translucent light filtering material, blocks about 80% of the light. 140 cm high. Easy to fix. Standard delivered with: Tension Rafter, guylines and pegs. 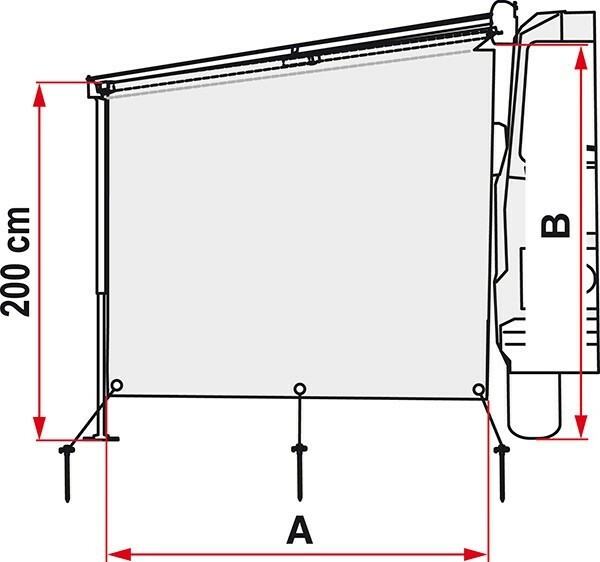 Suitable for Fiamma awnings from 300 cm long and F65 / F65 S from 320 cm long , Omnistor 5002, 5003 and Tristor awnings too (optional kit required). Ideal height between: 220-260 cm. 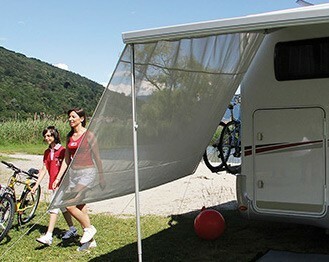 Suitable for awnings from 300 cm.